Emily Ruskovich may have been a shy student in school, but she, like many other writers, learned early on that she could find her voice through pen and paper. Storytelling is something Ruskovich has always enjoyed, since she was about four years old. Today, those years of passion for writing have come to fruition in the form of her debut novel, “Idaho,” her writing reaping widespread acclaim from critics everywhere from the Idaho Statesman to the New York Times. Inspired by her childhood growing up on Hoodoo Mountain in the Idaho Panhandle, Ruskovich's "Idaho" has been described as a story of love, violence, forgiveness and mystery. It became a shortlisted finalist for the Dylan Thomas International Prize, as well as the Edgar Allen Poe Award for Best First Novel and the New York Library’s Young Lion’s Award. Ruskovich said she has felt grateful to able to be able to share her voice with an ever-growing audience of readers across the country. Though the voice she shares sometimes comes through characters she creates, Ruskovich said fiction helps her to learn more about herself. Ruskovich is an alumnus of the Iowa Writers’ Workshop, a prestigious, graduate-level creative writing program where she began her initial work on “Idaho.” Ruskovich said she was encouraged to keep writing and challenging herself by her instructors, writers she had admired long before she stepped foot into the program, including Marilynne Robinson, Michellen Huneven, Lan Samantha Chang and Ethan Canin. Now with a published novel under her belt and another one on the way (she’s not giving away any details just yet, but continues to be inspired by her friends, family, and the landscapes of her childhood), Ruskovich has advice for young writers who may be struggling to find their own voices, or who fear they will not heard until they are published. 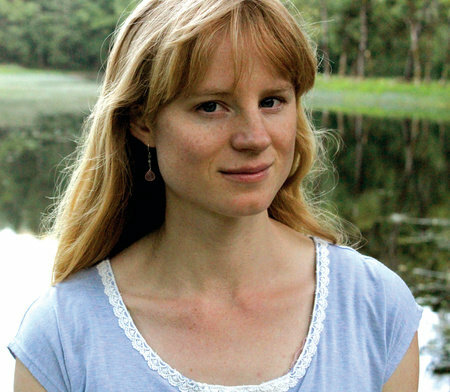 For more information on Emily Ruskovich, visit http://www.emilyruskovich.com/.